Last year I attended a Dallas Film Society screening of “Jaws” with a friend of mine. This was the last of a series of films selected by Dallas Morning News film critic Chris Vognar. I had not seen the film on the big screen since I saw it at the Inwood Theater when it came out in 1975. I have seen it or parts of it countless times on video, but the opportunity to see it on the big screen in a theater with others was one I could not pass up. Whenever I see films that I am used to watching at home, I am amazed how different the experience is when watching it in a theater with a crowd. 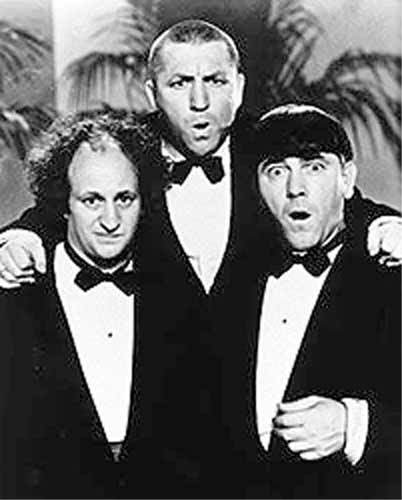 The first time this reality hit me was when I saw a “3 Stooges” festival while at SMU in 1984. Like most kids in the Dallas / Ft. Worth area who grew up in the 60’s and 70’s I “Stooged out” via Slam Bang Theater every morning before going to school. I still remember how surprised I was to hear other people laughing with me in the Granada Theater at the antics of the Stooges. Hearing a couple of hundred others laugh with me made the Stooges even funnier. (Yes I did see the “3 Stooges” this year and I had a little bit of that same feeling hearing people, including now my son, laugh at the same antics offered now by new Stooges.) 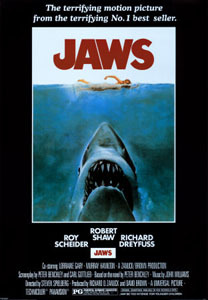 Last year watching “Jaws” and hearing others react to the scary parts and funny parts, yes there was humor in this the first “blockbuster,” enhanced the viewing this very familiar film and made it a better experience as I saw things and made connections that I had not made in the countless, earlier viewings. A similar phenomenon exists in worship and faith. While personal worship, study and communion with God is essential, there can be no substitute for communal worship, experience, and relationship with God. In short we gain and grow more in our faith journey when we experience God together. When we see and hear others express their faith by singing songs of faith, praying the Lord ’s Prayer, reciting creeds, offering confessions, and experiencing the sacraments of baptism and communion our faith is strengthened in a way that is different when we pray, sing, or affirm our faith alone. While faith is personal, in that each of us has our unique relationship with God, it is not private. As God is community, Father, Son, and Holy Spirit, so we, as children of God and disciples of Christ, should be present and active in our community that is the Body of Christ, the Church. P.S. When I was trying to watch the Stooges as a child I met considerable resistance from my parents and older sister. Thinking back I should have lifted up to my fellow “Preacher’s Kid” sibling the Trinitarian aspect of the trio. This entry was posted in Faith Shots, Film Shots and tagged church, faith, faith and film, worship. Bookmark the permalink.